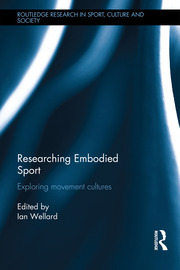 Ian’s main research interests relate to embodied practices, physical activity, gender and sport. Much of this research has been generated through ethnographic studies, which draw upon qualitative and reflexive approaches to the ways in which embodied identities are constructed and negotiated. His latest book is, Whose body is it anyway? - a sociological reflection upon fitness and wellbeing, which is a critical look at the ‘healthy’ body within the context of sport and fitness training. He is also collaborating with James Brighton and Amy Clark on Gym Bodies: exploring fitness cultures. Other books include, Researching Embodied Sport (2015), Sport, Fun and Enjoyment (2013), Sport, Masculinities and the Body (2009) and Rethinking Gender and Youth Sport (2007), all for Routledge. Ian has continued to publish articles relating to his research in international journals.